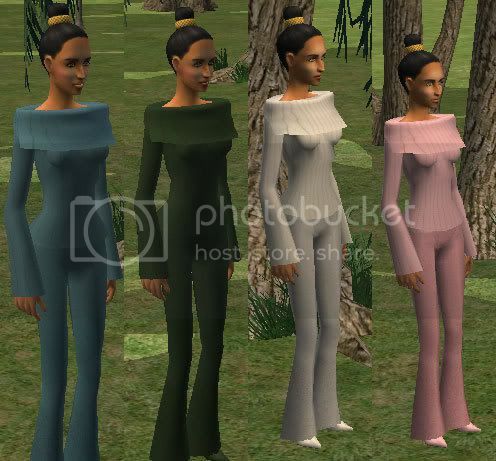 Tanisha models these lovely sweater and pants outfits. Uses mesh Mesh_Serasims_TurtleShouldersPeglegPants_031206 from Serasims, which I discovered is closed when I went to verify the link! I am not having a good day today... but here's the mesh until it is available elsewhere. I love those colors, Rose.